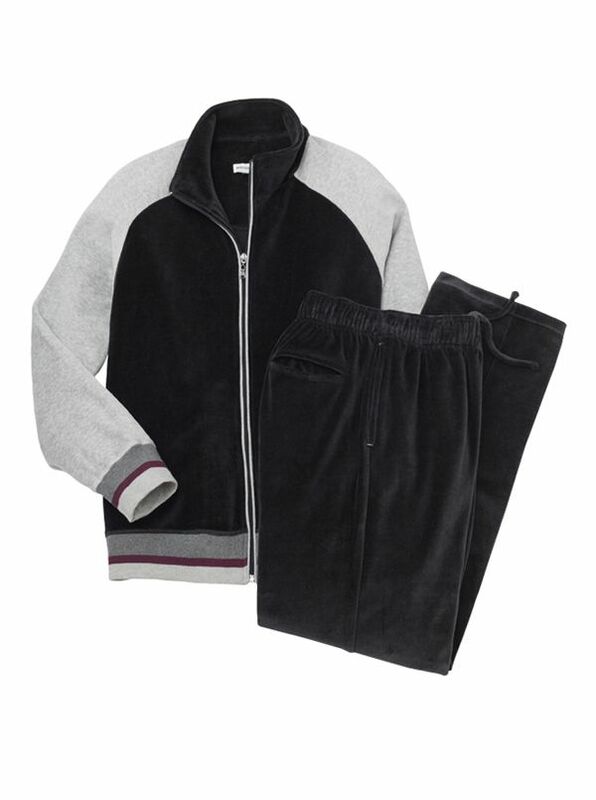 Wilton Velour Leisure Set is all about easy-going comfort. Full zip top has stand-up collar two pockets knit cuffs and waist. Drawstring pants have three pockets zip fly open bottoms. Washable. 75% cotton/25% polyester.